Emily (Mara) is depressed. Her husband Martin (Channing Tatum) is coming to the end of his 5 year sentence for insider trading, and she’s very nervous about him coming home to a small apartment in Manhattan that is a substantial step down in the world from the privileged Connecticut life they once led. After she deliberately drives her car into a wall Martin insists that she seek therapy from English psychiatrist Dr Banks (Jude Law). But little seems to help until an office co-worker suggests she take a new experimental drug. Banks reluctantly prescribes it but soon Emily’s behaviour becomes wildly erratic, leading to a tragic accident. As her previous psychiatrist Siebert (Catherine Zeta-Jones) shifts all blame for Emily’s actions onto Banks, he finds himself trapped in a Kafkaesuqe legal nightmare alongside Emily as the justice system looks for scapegoats. Soderbergh’s regular screenwriter Scott Z Burns (Contagion, The Informant!) grounds this nightmarish drama in well researched reality. Some of the most chilling scenes involve not Emily’s hallucinations but the insidious cosy relationship between doctors and Big Pharma, and the subsequent shafting of Banks by all his colleagues once Emily’s case makes the tabloids lest it endanger their own lucrative practices. The obvious comparison for a story like this you’d think is Douglas Sirk’s Bigger than Life but in fact it’s impossible to guess where Burns’ script will go next, one moment it feels like The Crucible as the legal net catches the blameless Dr Banks, and the next it feels closer to a Henri Georges Clouzot suspense thriller. If you’re not conscious then you can’t have intent – but can you be programmed by others? This question makes Banks increasingly paranoid. Law, following an unexpectedly revelatory turn in Anna Karenina, is very sympathetic as the good man caught inside an inexorably tightening legal vice and being abandoned by his friends and his shrill wife (Vinessa Shaw) as he tries to prove his innocence. Tatum oddly seems to be wearing Magic Mike outfits at times, and is involved in dodgy deals in the South again, but he makes Martin a very caring white-collar criminal. Zeta-Jones fares less well, looking positively sepulchral in a cold role, while Thomas Newman, composing well outside his comfort zone, is equally unimpressive. But this film belongs to the sensational Rooney Mara. She is utterly compelling thru all plot twists and medicated character changes, and remains an utter chameleon: she can resemble physically and persona-wise Tom Hiddleston or Sam Rockwell depending on what the scene needs from her. Side Effects tackles serious matters of depression, medication culture, and legal chicanery, and does so with compelling tension; yes, there are quibbles, but this is Soderbergh near his best. 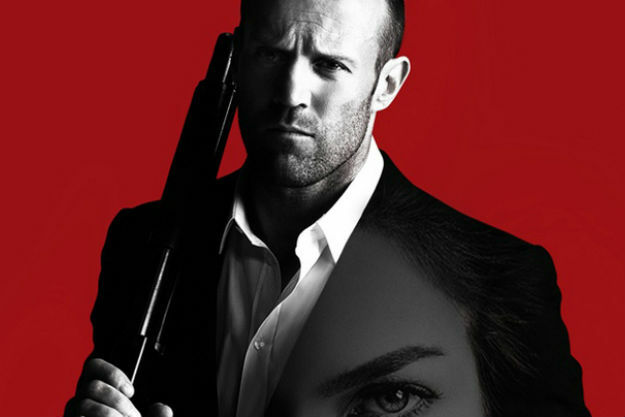 Jason Statham stretches his acting muscles again, but unlike last year’s underwhelming Safe, Parker comes with a writer and director of pretty high calibre attached. Statham is (you’ve guessed it) Parker, who we first meet disguised as a priest to execute a heist at the Ohio State Fair. The disguise, amusingly enough, isn’t entirely outrageous – as Parker reveals his inviolable ethical code: “I only steal from those who can afford it, and I only hurt people who deserve it.” Unfortunately his father-in-law Hurley (Nick Nolte) has lumbered him with some unethical thieves (Michael Chiklis, Clifford Collins Jr, Wendell Pierce) who leave Parker for dead on a roadside. Parker survives and tracks them to Florida, where he uses struggling realtor Leslie (Jennifer Lopez) to pinpoint their location, and, in an unlikely alliance, identify their next heist. But can Parker focus on stealing the haul and killing his betrayers when Chicago mob boss Danziger has unleashed an assassin to eliminate both Parker and his wife (Emma Booth)? This is based on the Parker novel Flash Fire by Richard Stark aka Donald Westlake, which makes you wonder (given Point Blank) if he only had one plot: Parker, left for dead, survives, seeks revenge. It’s a good plot, and Black Swan and Carnivale scribe John McLaughlin renders it the kind of entertaining crime popcorn Hollywood’s fallen out of doing. Unlike the last Stark flick Payback the plentiful violence here isn’t sadistic; indeed the scene you’ll wincingly remember is stunningly masochistic. The State is notably endearing as he beats people up, is nice to dogs, and delivers the immortal threat of an agonising death by crushing a man’s trachea with a chair with the kicker – “Plus there’s the posthumous humiliation of having been killed by a chair.” Indeed, like Ocean’s 11, when J-Lo makes her belated entrance it’s slightly unnecessary. Not to imply that J-Lo’s role, comic relief with realistic tragic undertones, is redundant; but by that point it is extra icing on the cake director Taylor Hackford has made. Hackford uses Palm Beach locations wonderfully as Parker realises crime cannot flourish on an island with drawbridges, and he stages a recriminating conversation between Parker and Hurley as dramatically as the beach argument in Rampart. The many fights are brutal enough to keep State fans happy, and the increasing paranoia of Chiklis’ gang-leader Melander is well justified as Parker infiltrates his preparations for a massive diamond heist. The ice is to be fenced by Danziger’s moronic nephew Hardwicke (Micah Hauptman, who memorably cameoed as ‘Kripke’ in Ben Edlund’s meta-madness Supernatural episode), which is why a terrifying assassin (Matrix Reloaded Agent Daniel Bernhardt) is hunting Parker with brutally violent grim efficiency. Is Parker an avenging Angel of the Lord as suggested? He certainly seems indestructible, albeit far from invulnerable, and Parker is another fun Statham franchise that deserves further outings. Frank Langella and the voice of Peter Sarsgaard as his personal robot make for a most unlikely criminal duo in this compact caper movie set in the quite near future. Robot and Frank is a deeply odd movie. It is at heart a caper flick. And like all capers there’s a lot of fun to be had in preparing for the heist, plotting it out, dealing with the unforeseen disasters that occur, and playing bluff with the long arm of the law. Jeremy Strong is sensationally obnoxious as the patronising yuppie Jake, intent on replacing the library with a hipster hangout because printed material is obsolete. Jeremy Sisto is also good value as the sheriff who half suspects Frank is up to his old tricks, but mostly is just harassing him to placate the rich Jake. Peter Sarsgaard is obviously enjoying himself as the robot given to ineffectually shouting “Warning –do not molest me!” at strangers who poke at him, but this movie is really all about Langella’s disquieting lead. Can you address a topic as serious as dementia in the middle of an amusing crime caper? I don’t think so. Frank’s memory noticeably improves as he plots his heist with Robot, but that feels a bit off. This is a future with technology not too far advanced from ours, bar the (child in a space-suit) titular robot, but the sci-fi leaves little trace on your memory compared to how a casual line of dialogue turns out to have a devastating relevance later. As the children dealing with their ailing father Marsden is thoroughly underused and made needlessly unsympathetic, while Tyler is given more screen-time but her character’s motivations are not probed as searchingly they cried out to be. Sarandon brings far more charm to this role than last week’s Arbitrage, but this part is even more of a cipher. Robot and Frank is amusing, but it feels like a film about dementia had a sci-fi heist written around it to secure it financing.